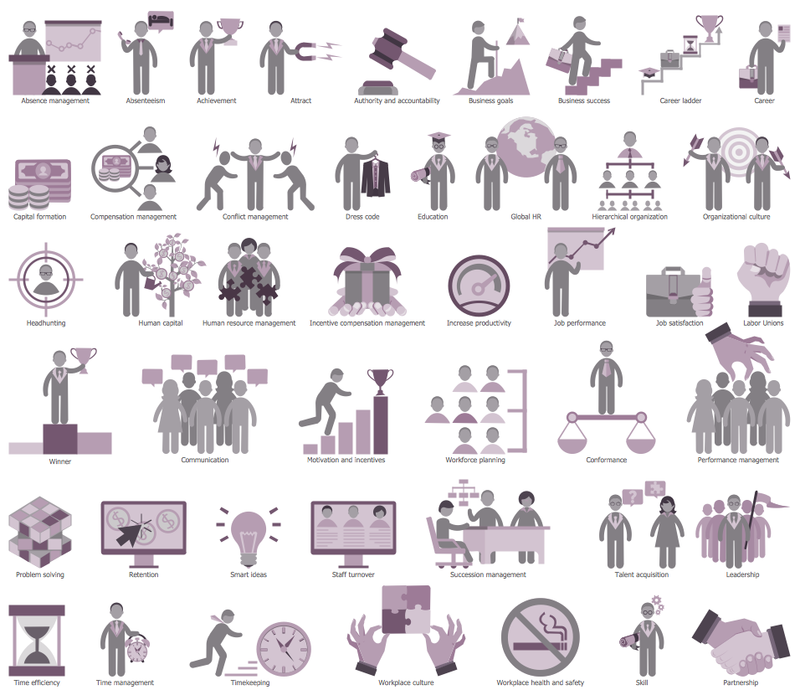 mentoring, and many other tools for employees and organization development. ConceptDraw DIAGRAM diagramming and vector drawing software supplied with HR Flowcharts Solution from the Management Area of ConceptDraw Solution Park can effectively help in labour-intensive process of human resource development. Thanks to these objects you can design the HR flowchart of any complexity literally for the few minutes. Another way of drawing is to use ready sample as the base. HR Flowcharts Solution is rich for the samples and examples of human resource development and management. The samples you see on this page were created in ConceptDraw DIAGRAM using the tools of the HR Flowcharts Solution. These samples successfully demonstrate solution's capabilities and professional results you can achieve. An experienced user spent 10-15 minutes creating each of these samples. Use the HR Flowcharts Solution for ConceptDraw DIAGRAM Solution Park for effective representation of Human Resource Development process and for its easy further realization. ConceptDraw DIAGRAM v12 diagramming and vector drawing software enhanced with powerful HR Flowcharts Solution from the Management Area of ConceptDraw Solution Park perfectly suits for Human Resource Management. The ConceptDraw DIAGRAM v12 is a good flow chart app for Mac. Numerous vector stencils, samples and templates created by designers allows you to draw any type of flowchart. Project progress on web: delivering project status to remote teams and stakeholders via Skype. Recruitment refers to the overall process of attracting, selecting and appointing suitable candidates for jobs within an organization. 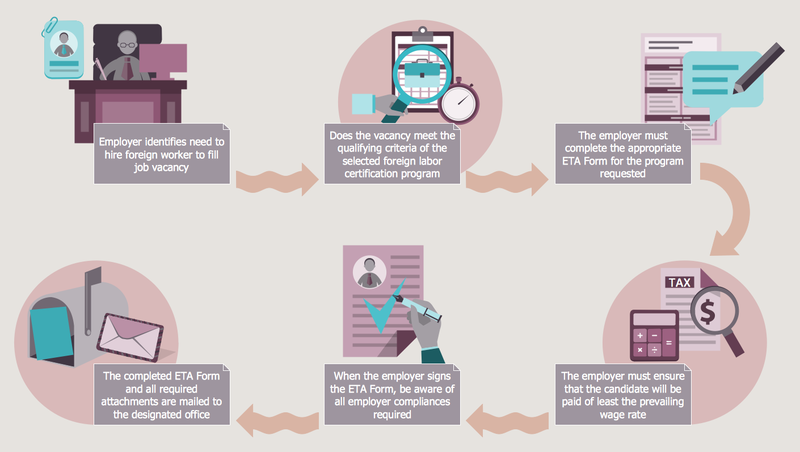 The recruitment process often requires design and use of various HR flowcharts, diagrams, attractive illustrations. Never before their creation wasn’t so easy as now with HR Flowcharts Solution from the Management Area of ConceptDraw Solution Park. ConceptDraw DIAGRAM v12 is a flowchart creating software. This software includes over 20 vector stencils in libraries. These objects allow you to create well-designed flowcharts. Put an initial object from library to a page and use RapidDraw technology clicking on direction arrows to add new objects to the flowchart. 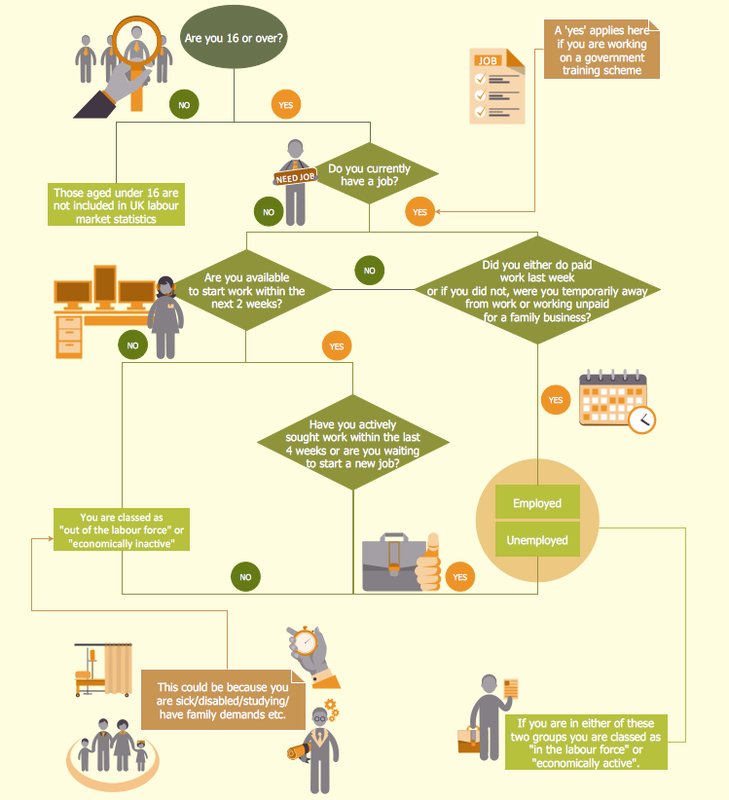 This way you can make flowchart quickly.